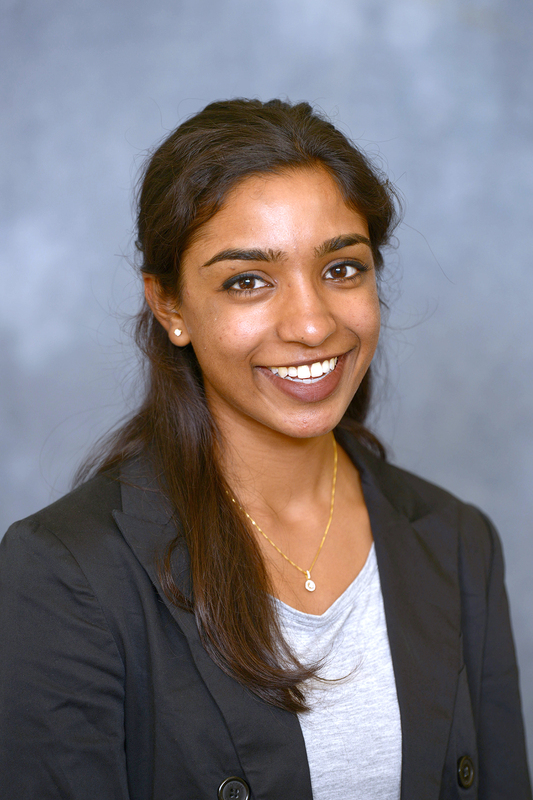 Athens, Ga. – The University of Georgia added two new Udall Scholars to its ranks this year as third-year students Shreya Ganeshan and Elizabeth Wilkes were honored for their leadership, public service and commitment to issues related to the environment. Each year, the Udall Foundation awards about 60 scholarships to college sophomores and juniors for their efforts related to Native American nations or their work in environmental advocacy and policy. Ganeshan, from Johns Creek, is majoring in economics and statistics and plans to pursue a doctorate in clean energy innovation and deployment. Wilkes, from Atlanta, is majoring in geography and ecology and plans to pursue a master’s degree in either food policy or agricultural and environmental studies. Both are Honors students and Foundation Fellows. With the addition of Ganeshan and Wilkes, UGA has had 11 Udall Scholars in the past seven years. Ganeshan is a campus tour guide through the UGA Visitors Center, executive director of the Roosevelt Institute at UGA, director of UGAvotes, adviser for the Lunchbox Garden Project and an emerging fellow for energy and environment for Roosevelt Institute national. She was a research assistant on the UGA geography department’s Seattle Project and on a Leiden University aquaculture project in the Netherlands, a Vinson Institute policy fellow, an energy intern for the UGA Office of Sustainability and an Honors in Washington intern at the State Department’s Office of the Special Envoy for Climate Change. She has been involved in the Energy Concept at UGA, RefUGA, the Student Government Association and Palladia Women’s and Dean William Tate honor societies. She has presented posters at the Stanford University Clean Energy Awards, the Harvard University Research Conference and the Environmental Protection Agency Symposium. Since high school, Ganeshan has been a South Indian classical music vocalist and performer. After graduating from UGA, Ganeshan plans to study how weather-related disasters strain local and national infrastructure and plans to develop financial models for clean energy. Wilkes is currently a research intern with the national Food and Water Watch and a national student representative on the Real Food Challenge steering committee. She mentored high school students through the Young Urban Farmers Program, volunteered on the UGA Office of Sustainability’s zero waste and compost teams, was executive director of the Lunchbox Garden Project and presented at the Association of American Geographers meeting and the Mississippi Sustainable Food Summit. Her internships have included positions with Food Tank: The Think Tank for Food and First Presbyterian Church of Athens through the Waddel Fellowship. She has been involved as a member of the Roosevelt Institute, Society for Applied Anthropology, Palladia Women’s Honor Society, Presbyterian Student Center and Students for Environmental Action. She also conducted undergraduate research in geography and political ecology and was a community organizer-in-training through the Sierra Student Coalition’s summer program. Along with her major in human geography, Wilkes will be among the first UGA students to graduate with a Bachelor of Arts in ecology. She plans to pursue a career as an advocate for food justice and hopes to transform food systems to promote environmental and social justice. The Udall Scholarship provides up to $7,000 for eligible academic expenses and includes a four-day orientation in Tucson, Arizona, and access to the Udall Alumni Network, an extensive group of environmental and tribal leaders and public servants. The Udall Foundation was established in 1992 to honor Rep. Morris K. Udall for his 30 years of service to the U.S. Congress. Legislation in 2009 incorporated the name of his brother, former U.S. Secretary of the Interior Stewart Udall. The independent agency conducts programs that promote leadership, education, collaboration and conflict resolution in the areas of the environment, public lands and natural resources.